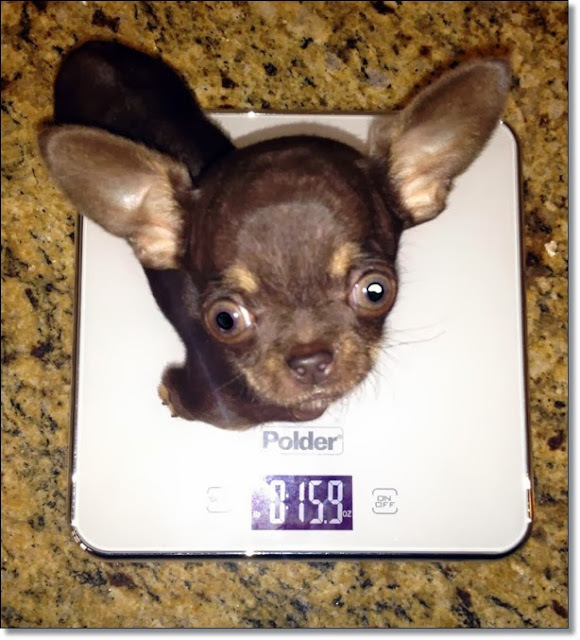 Meet Miracle Milly, a brown Chihuahua, and, she's really small. 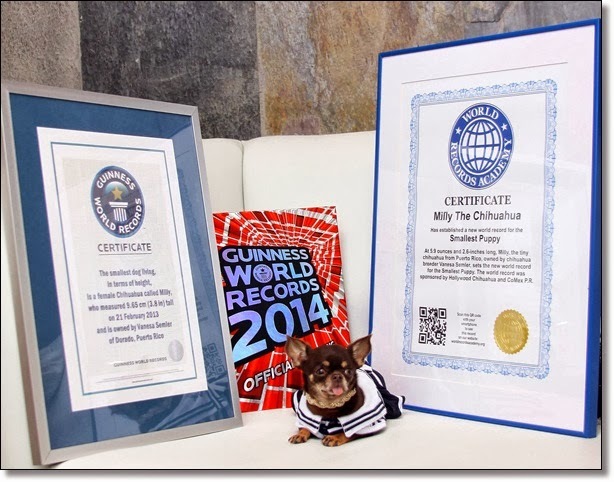 The dog world can rest easy tonight, as a new smallest dog in the world (actual title: Smallest Dog Living) has finally been christened by Guinness World Records. This caps months of intense speculation by dog lovers everywhere, with long-winded debates breaking out in comment sections, bars, and even the senate floor (Ted Cruz, R-Texas). Finally, a ruling came down. 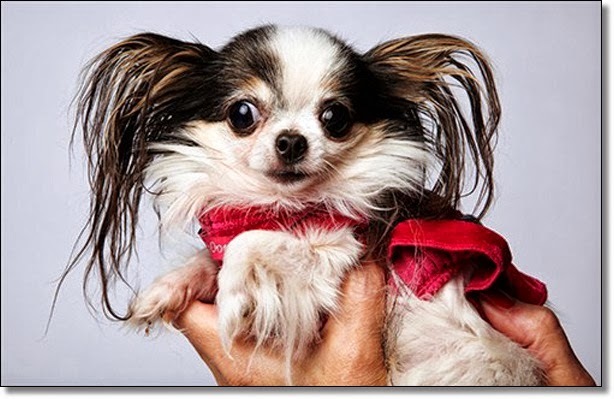 The 2013 Smallest Dog in the World is ... small. Victory! 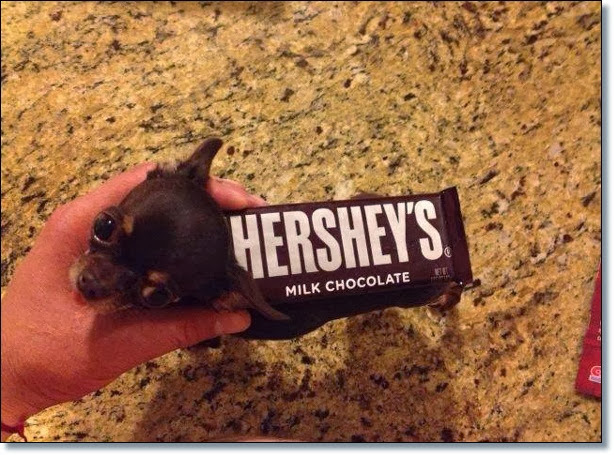 To be sure, the dog is small. How small? I don't know. Okay: She's 3.8 inches, from backbone to paw. Small, to use the vernacular. “She knows how to pose,” owner Vanesa Semler told The Associated Press. She also knows how to crush her competition. 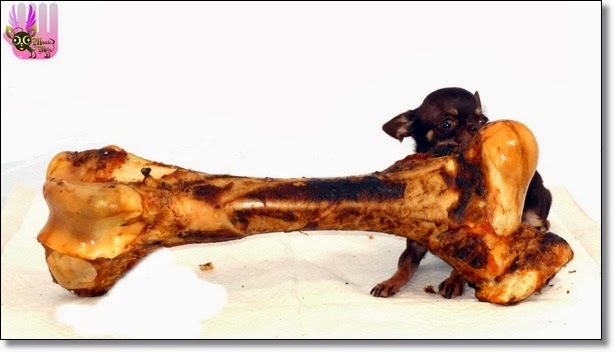 Licking her paws right now is a dethroned long-haired Chihuahua from Kentucky named Boo Boo, who stands outclassed at a massive four inches. Enough about Boo Boo. “Milly really likes salmon and chicken,” Semler said. 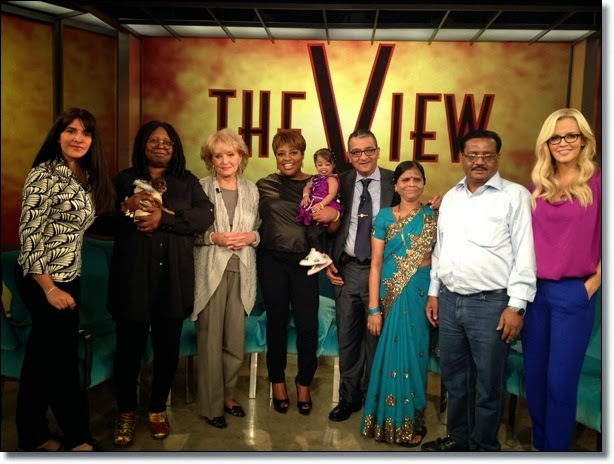 Milly weighed less than an ounce when she was born and "fit in a teaspoon." We don't know whether Semler ever put her in a teaspoon. Early on, she slept in a doll's crib next to Semler's bed. 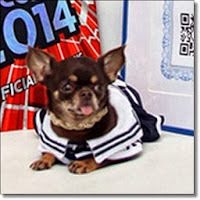 Semler has nine other Chihuahuas. Here is Milly eating a bone -- weird! In Milly's honor (also Boo's), let's hope that awards like these are just a fun thing we do to celebrate a quirk in a litter and that people aren't actually irresponsibly breeding dogs to be as small (or as large) as possible to win stuff like this.